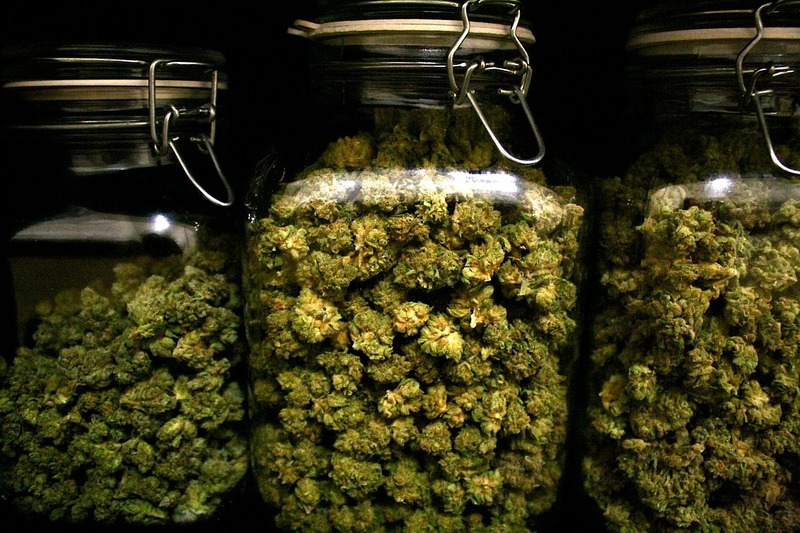 When it comes to storing your marijuana, the method you use makes a big difference. According to experts, time really affects marijuana quality and freshness, degrading flower smell and taste. This is because the fragrant flavonoids in marijuana are very delicate. The cannabinoids also degrade, though at a slower rate. While the terpenes will ultimately degrade notwithstanding the storage method employed, they will exacerbate faster if the marijuana is stored improperly. So what happens if you grow a lot of cannabis and wish to store for some time? Some growers only harvest once every year and may want their weed to last until the next harvest. The lack of terpenes is a good hint that the freshness of your marijuana is debatable. However, scents can give you a clue too. If you get a musty smell, there is a high likelihood of your cannabis to contain mold. On the other hand, harsh chemicals can be a sign of poor flushing during the last stages of the grow cycle. Additionally, this can mean pesticides were improperly or extremely used. Pull apart some of the buds for a more extensive examination. Closely look for any indication of mites, mold or other parasites. If the marijuana powders immediately into dust, then it means it has become very dry. Usually, this is a clear sign of stale cannabis, or at the very least, inappropriately stored cannabis. Tasting is another vital test for cannabis freshness. If the cannabis looks and smells good, then it’s the high time to carry out the taste test. Awfully stale cannabis becomes evident with the initial puff. Actually, the smoke will be conspicuously harsher, and will probably give you a burning sensation in the throat, a feeling that is unnoticeable, when smoking fresh weed. What really happens when THC gets old? Tetrahydrocannabinol (THC) begins its life as an acid, popularly known as THCA. Decarboxylation, which takes place through drying and heating, converts non-psychoactive THCA into THC. When marijuana is exposed to too much sunlight or heat or gets extremely dry from prolonged storage, THC can be transformed into less psychoactive CBN. Although CBN can get your high, many a times, its effects are more soporific. It also doesn’t long. Glass containers are perfect for preserving and maintaining cannabis freshness. Stay away from bags, since their static charge can draw or attract trichomes. Only use plastic for short-term transport or temporary hoard, and not long-term storage. Cannabis should be stored in an airtight, dark, cool and dry place. In this context, cool means below 77 °F. Temperatures warmer than that, promote the growth of mold and mildew. Too much heat can also raze the terpenes and destroy the cannabinoids, which in turn results in a harsh smoke when puffing. Humidity is a vital factor when storing marijuana. A good number of experts believe that keeping your buds between 59% and 63% relative humidity is ideal. This humidity range considerably helps to protect the aroma, flavor, consistency, and color of the weed. Remember, if the humidity stays below 59% for an extended period, the essential oils in the weed gets to dry, hence reducing terpenes and increasing harshness. Besides humidity, why is darkness an important aspect when string weed? Ultraviolet rays breakdown majority of organic substances. Leaving cannabis exposed to light reduces its freshness, potency and degrades the taste in the long-run. Actually, according to a London study first published in 1976, light is a major factor in cannabinoid degradation. The good news from the same study is that, when stored under favorable conditions, cannabinoids can be stable for up to 2 years. It can remain safe and effective for longer periods since degradation takes place at a lesser pace in a controlled storage setting. One common mistake is keeping or storing marijuana in the fridge. The fluctuations in humidity and temperature can actually cause the herb to sweat, amplifying the likelihood of mold. Never put cannabis in the freezer, either. Apparently, this can cause the trichomes to degrade, losing the cannabinoids. With the above tips, now you can store your weed correctly, you can enjoy your big harvests for months and years to come.